This project will stabilize and restore existing structures with historically appropriate materials at Riverside Park South. 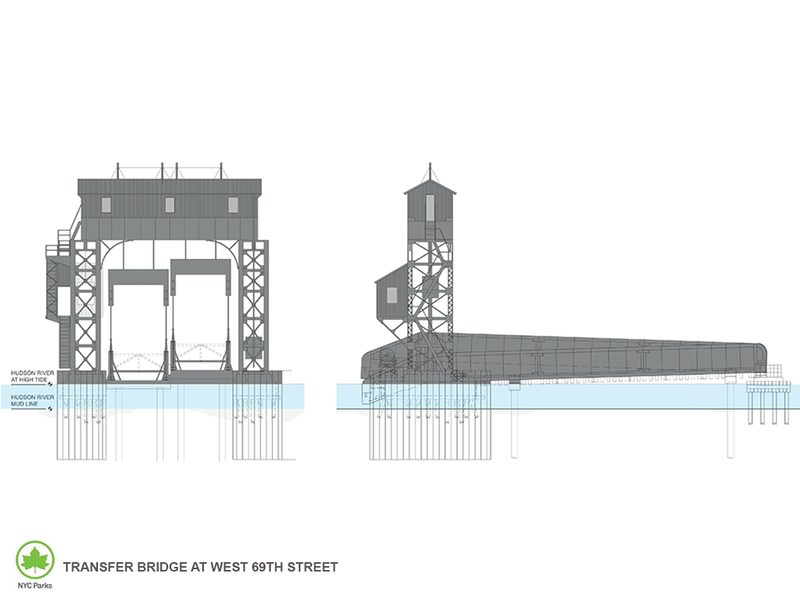 This project will also include lead abatement activities, adding lighting on gantry towers, providing interpretive signage at ground level and removing 65 additional piles at Pier F.
Project Update: The design completion date has changed. Some of the common reasons why a completion date has changed are: scope and funding are added to a project, design changes due to comments from other government agencies and the public, design changes due to field conditions found during site testing and/or issues with a design consultant.